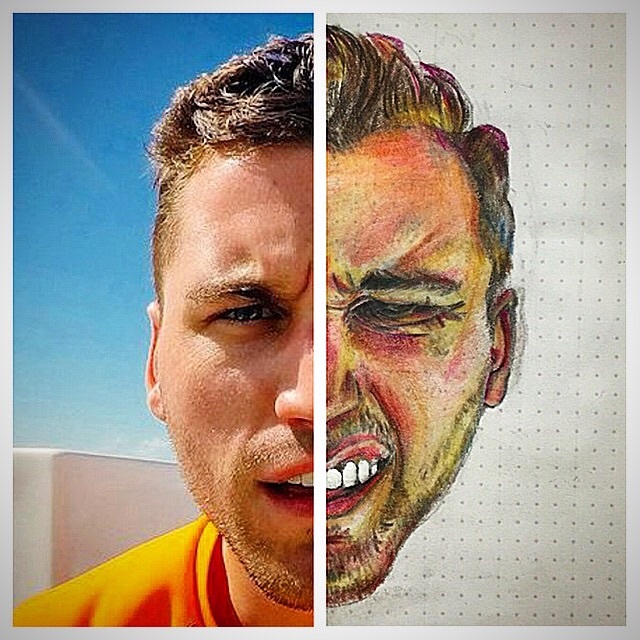 Which side of my face do you think is "more me"? Which one does it best? On the one hand, they are both me. However, they also represent something much larger than their subject. They represent the extensive and impressively creative minds of Rizza Dulay (on colored pencil) and Courtney Slade (on aperture). Sure, it may be my face, but it is their message. You can't control how others will view you, you can only control what you put out in the world. So, how do you know what you should be putting out there?! Thankfully, these amazing artists know me well, and each interpreted a view of my personality that I absolutely love. Hope you enjoy the video in the link. When you're finished, shoot me an email with whatever comes to mind when you think of the question: "Why am I me?" Can't wait to hear what you think. See you next week!